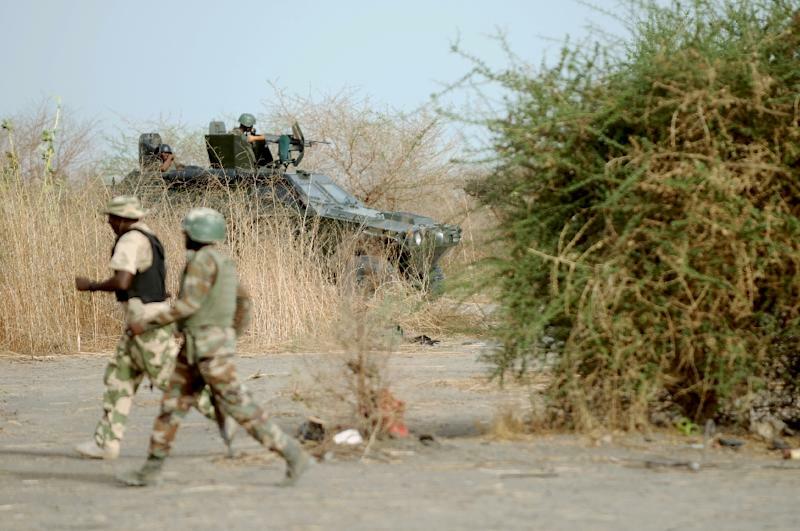 Maiduguri (Nigeria) (AFP) - Hundreds of people who escaped a Boko Haram attack on their town in Nigeria's restive north and fled to a nearby mountain said Saturday they were without any food. "We are in distress. We need help," said Liman Ngosha, a farmer from the town of Gwoza. Suspected Boko Haram gunmen attacked the town, some 135 kilometres (80 miles) from the state capital of Maiduguri, on Wednesday. "I cannot tell the exact number of people that were killed. Before I fled, over 100 corpses littered the streets of Gwoza," Ngosha said. Many Gwoza residents who escaped the attack, including some who fled to the mountain, met in Maiduguri on Saturday with the state governor, Kashim Shettima, who promised to discuss their plight with President Goodluck Jonathan. On Saturday, police fired shots at a group of about 300 Gwoza residents who had gathered in central Maiduguri to protest the Boko Haram attack, injuring a 26-year-old man.